Not only do Airport Car Hire Network source the best car hire prices for you, we also provide you with free additional extras when available. 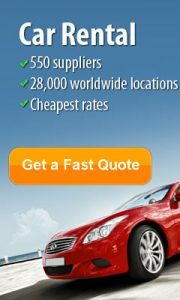 Rent a car from as little as €2.91 per day, plus admin fee of €30 and you get an additional driver free. Why pay more? 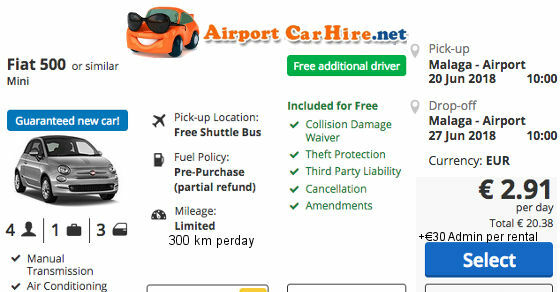 You can rent a Fiat 500 at Malaga Airport for one week with an extra driver for as little as €50.37. The supplier is located off airport, actually only 3 minutes away across the road. It is possible to walk over to the depot, or you can use the free shuttle bus which is provided to and from the airport.